Tomorrow singer-songwriter Clark Twain will be releasing his debut long-play ‘Life is Wonderful’ – here listeners will be treated to 13 novel tracks from America’s music capital of Austin, Texas. Though primarily a one-man show, Twain’s sound is huge and ambitious. Within his songmanship and sound, you will hear elements of Eliiot Smith, Ben Folds Five, Wilco, Eels and Ben Kweller. You will also feel an astute sincerity, as if every song he is singing is based on his own personal experience. Very convincing with a level of optimist that raises vibes. Insofar as debut albums go, this one is a keeper – standout tracks include Best is Yet to Come, Tiny Windows, God is She, Try Too Hard, Not Fade Away (Saloon Edition), and Fly High (Like Richard Branson). Ahead of the album release, Twain revealed several singles, including the latest shimmery jangle pop offering ‘Tiny Windows’, the serene pop song ‘Try Too Hard’ and the upbeat and positively infectious ‘Fly High (Like Richard Branson)’, accompanied by a fun, high-flying video was directed by Vanessa Pla. Clark Twain is the solo moniker of Clark Nowlin, who began playing guitar at 10, cutting his teeth on Metallica and Nirvana covers with friends in the attic and starting his first band a few years later. He eventually quit his day job to fully immerse himself in the world of music “because the gig money put enough gas in my tank”. After touring and recording with Tim Halperin and Marshall Young for a few years and supporting various artists, he amassed recording gear, learned the ropes, and began producing various musical projects. His music is influenced by the likes of Death Cab for Cutie, the Flaming Lips, Ben Kweller and John Mayer. 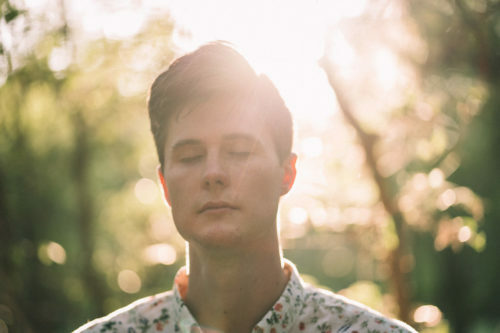 Clark dedicated a solid 6-month block of time to working on his new material, beginning in January of this year, and splitting time between Elmwood Studios in Dallas, Clark’s home studio in Austin, and in Denton, Texas with Brack Cantrell, one of Clark’s all-time favorite producers, who also mixed his new material. Mastering was performed by Jon Törnblom. “If music is to serve any purpose, it’s to remind us that we’re alive and that we’re not alone. For me, making it is a sign that I’m alive. Connecting with it is a sign that this big mysterious journey called life isn’t new territory and that whatever situation we’re in – someone’s already been there and has made it through,” says Clark Twain. As of November 16, ‘Life is Wonderful’ is available via online stores and streaming platforms. CDs are available exclusively at live shows. Already now, you can find several Clark Twain singles on Spotify and iTunes, as well as Bandcamp. Twain’s album release show takes place at Austin’s Spider House Ballroom, supported by Dayglow, The Oysters and Lainey Gonzales. All songs written by Clark Twain except ‘God is She’ (co-written with Kyle Lucas) and ‘Not Fade Away’ (written with Geoff Ice).